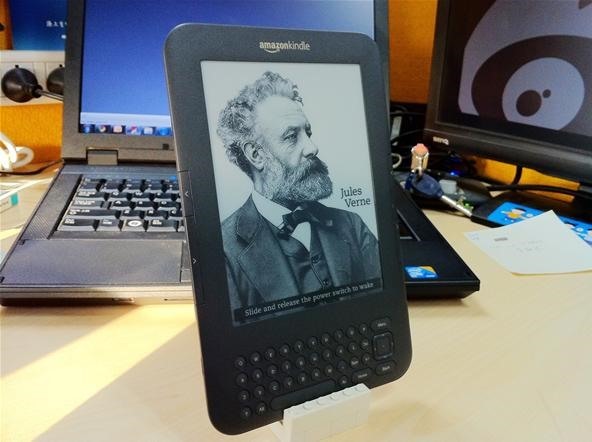 This past Tuesday, Amazon pushed a big software update to Kindle users the world over. While the update introduces a host of great new features—secondary page numbers that allow readers to reference real-world editions, for example—, it also takes something away. What? Well, as major firmware updates are wont to do, the patch broke all of the existing methods for "jailbreaking" the Kindle, which means users with the inclination to, say, use custom screen savers in lieu of the default ones found themselves no longer able to do so. Fortunately, it didn't take very long for a new jailbreak to crop up. In fact, thanks to his having downloaded the preview version of the patch from Amazon, creator Yifan Lu was able to share his hack on the 21st—that is, a full day before Amazon officially released its update! Be advised that jailbreaking your Kindle will most likely void your warranty. But, for the adventurous, there's a lot of fun to be had. If you think you'd like to try the jailbreak for yourself, you'll find a complete writeup of the process on Lu's blog. SOURCE Yifan Lu VIA Hack a Day. what is the point in jailbreaking your Kindle?? i can understand why you would jailbreak an ipod but what are the benefits of jailbreaking a kindle? ?